Do you sharpen your larger knives regularly, and with what? Do you regularly sharpen your large knives yourself, and with what? Yes, I do my own, and I do them with the thing they are using in the picture -do not know what it is called. I Tried doing it a long time ago with one of those sharpeners that you run the knives through but they were hopeless. I use a Sharpening Steel,as in your photo! When I was much younger and sign-writing the various butchers' windows each week,I would usually get my knives sharpened beautifully by one of these butchers when they were blunt.I have never been able to do them as well as the butchers did them!!! I don't as it's a job for my husband.... he has a steel just like the one in the photo and our knives get sharpened at least once a week. Having a blunt knife is more dangerous that a razor sharp one! As a teenager, I had a Saturday job in a butcher's shop and they sharpened their knives all the time, on an old fashioned leather strap. Any kind of large knife is outlawed in my home. 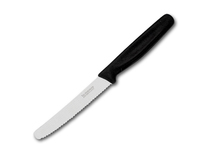 I only ever use a very sharp ''Victorinox'' Knife, with round tip. So amazing, and never gets blunt at all. My husband is the knife sharpener in our house. (Apparently there is no possibility that I could do it right...hmmmm.) He has a really good set of knives which includes a sharpening steel. Men think it's a mans thing, that's all. You more than likely would do a awesome job! You have to love them, bless their hearts...they are funny at times. I have a sharpening stone and a steel which I use as above. 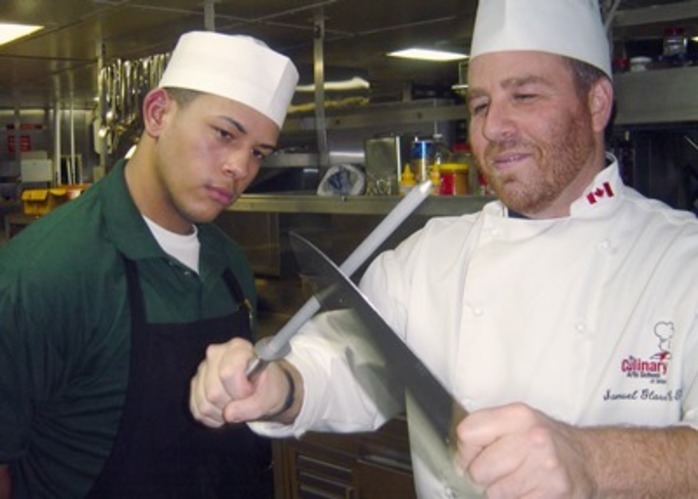 My son's a Chef, so he keeps my knives nice & sharp for me! 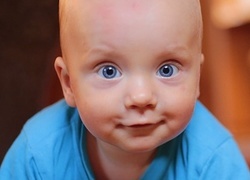 Are you patient with small children? 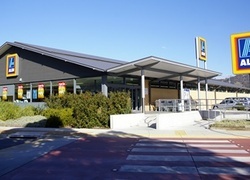 Have you ever shopped at Aldi? Have you ever been to a San Churro outlet, and what did you think of it? What sort of bathers/swimming costume do you now wear? 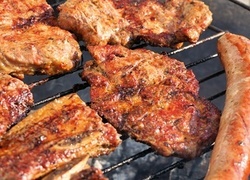 Do you prefer your meat cooked on a barbecue or in a pan? 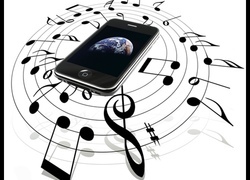 Do you use different ringtones for different people on your mobile?